For today, there are several Minecraft editions for different devices. You can play the desktop version on your computer, play on your smartphone or console. Strangely enough, developers very often share beta versions that contain a lot of new content but not all players know how to get these beta versions. First, look at the edition you are using. They are very different and can only be used on certain devices. 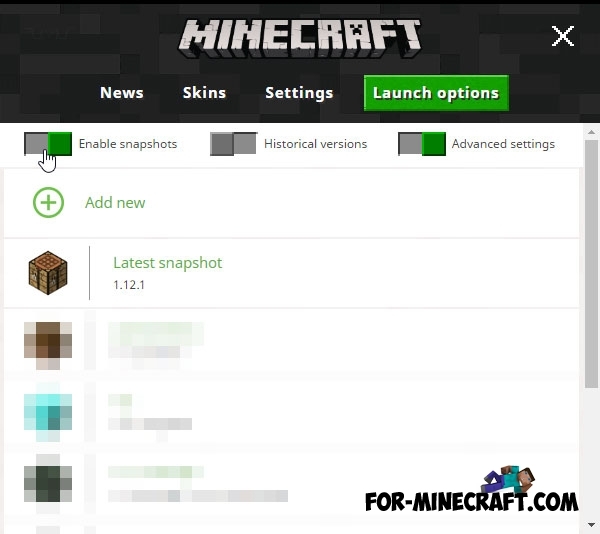 Secondly, follow the instructions below to download the Minecraft beta version. That's it, there's nothing complicated here. The development team regularly publishes pre-release versions for the Java version, which are also known as snapshots. You can at any time become a beta tester and try out a snapshot. To do this, you need to find and enable "Enable Snapshots" in the launcher settings. Then select the latest snapshot and click play. In fact, the pocket version (now called without a prefix) is the most popular and therefore the developers very often please the players with updates. According to statistics, a new beta version appears every week after the pre-release. To not miss the moment and enjoy new features you can install the beta version if you have a licensed copy of the game. 1. Go to the official beta test page - Google Play. 2. Click on the button to become a tester. 3. The game will automatically update to the latest beta version. If this does not happen then reinstall the game. 0. If you want to return a stable version of MCPE, then leave the testing program on the official GooglePlay page. Xbox Insider Hub allows you to switch the active version of Minecraft, which will be downloaded from the Store. 1. Open the Store app. 2. Install Xbox Insider Hub and open it. 3. 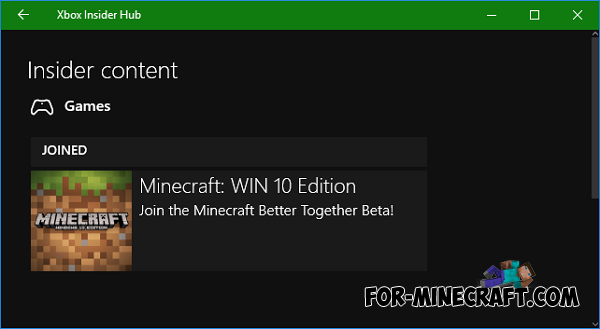 Select Insider content > Minecraft Beta > Join. 0. You can help developers if you tell them about the bugs you found.